Surrounded by shops and restaurants, this centrally situated hotel offers self-catering studios with free Wi-Fi. 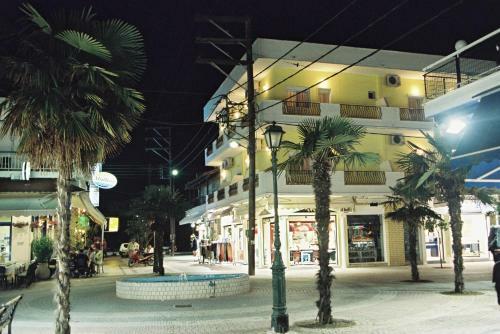 It stands on Kallithea�s pedestrian street, just 150 metres from the beach. 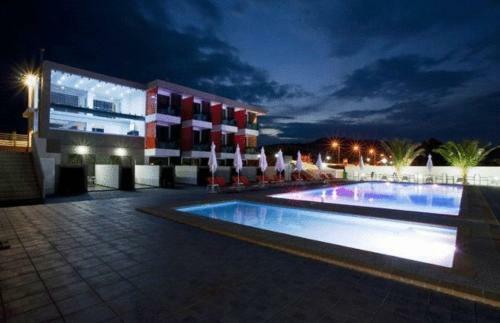 Featuring a unique panoramic view to Mount Olympus, the pine forest and Sani bay, Sanorama Suites lies over a 6,000 m2 hill, 300 metres from Sani Beach in Chalkidiki.The Sani Marina with a variety of shops, restaurants and bars, is a 5-minute walk. Enjoying a beachfront location in Sarti, Thalassa Boutique Hotel offers a pool with sun-lounger terrace and modern rooms with balcony. Guests enjoy free Wi-Fi and free private parking. 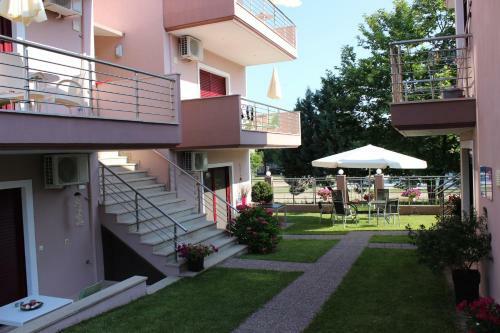 Yasoo holiday apartments are located in the most beautiful area of Olympiada, near the centre of Olympiada village and just 150 meters from the sea. Free wireless and wired internet is provided in all apartments. 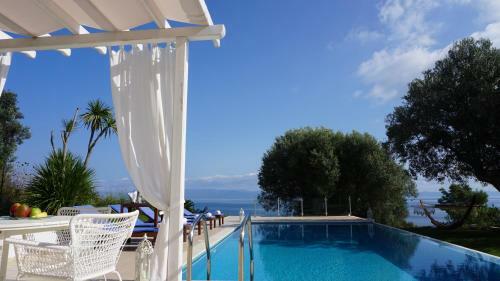 The family-run and seafront Pension Antonakis is located in the centre of Ouranoupoli in Chalkidiki. It offers air-conditioned accommodation with free WiFi and panoramic views over Ouranoupolis Port, Ammouliani Island and the Aegean Sea. Located in Paliouri Village, Kappa Resort offer fully equipped and elegantly decorated units, each with a private pool and a garden with sun terrace. Free WiFi is available in all areas.